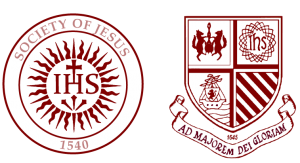 The tradition of Jesuit education in Galway is a long and varied one, not only in the variety of place and time, but also in its attempts to meet the challenges of the evangelisation in different decades. Since 1620 the Jesuits have, with some involuntary intermissions, been working with and for the people of Galway. In 1645 our first school was founded through the generosity of Edmund Kirwan. While the language of the classroom was Latin, it is worth noting that only Jesuits with a fluent command of Irish were sent on the “Irish Mission”. The school, incorporated it seems into a Jesuit residence in the present Abbeygate St., survived and flourished although it had been established at a time of political upheaval and military activity. After the surrender of Galway to the Cromwellian forces in 1652, all priests were either banished or imprisoned. In spite of this the Jesuits tried to maintain contact with the people of the area, and there is reference in 1658 to three members of the Society living secretly in Co. Galway. Jesuits returned openly to Galway after the Restoration of Charles II, but were banished again by Williamite forces in 1691. Once more they made a comeback in 1728 and for forty years they worked among the people of Galway. Sadly, a decrease in manpower forced the withdrawal of the “Mission” in 1768. In 1859, at the request of the Bishop, members of the Order once more took up residence in the city, this time in Prospect Hill and served in St. Patrick’s Church. Within a year they had opened a college near the site of the present Bank of Ireland at 19 Eyre Square. The college’s present location on Sea Road dates from 1863. The modern phase of Coláiste Iognáid began in 1929. The local enthusiasm for the language revival efforts of the emerging State was to be served by a re-invigorated Coláiste Iognáid, which became an Irish-medium School in 1931. In spite of many difficulties this service has continued to the present day; improvements in curriculum, buildings and equipment being made as circumstances demanded and opportunities allowed. In contrast with our original foundation of 1620, Coláiste Iognáid became part of the “non-fee-paying” secondary school system in 1967. With the co-operation of management and staff, couple with the generous help of parents, past pupils and friends of the Society, the present main school building, the Griffin Building, was opened in 1969. The ability to respond to the needs of the time and place was demonstrated once again in 1974 when the school population was increased to provide three-form entry, one co-educational form being for the Irish medium Scoil Gaeilge. Following extensive consultations with staff, union and Jesuits, we established the Board of Management in 1980 to take shared responsibility for all aspects of the school - the first agreed Board of its kind in Ireland. With the generous assistance of our parents and past pupils and with government grants we embarked on an ambitious building programme in 1982. This has provided the school with a new science block, the O’Reilly Building; a refurbished classroom block, the Andrews Building; as well as adequate library, art, computer and co-educational facilities. The Colombian Hall has been refurbished as an added indoor sports area and other improved sports facilities are planned for the near future. Co-education was extended to the whole school in 1984, to become the first fully co-educational secondary school in the city. Our history underpins the confidence we have in meeting the challenges of providing an education tailored to the needs of young people facing out to take their rightful place as mature Christian adults in a complex society.